Arthashastra, a treatise on Economic Administration was written by Chanakya (Kauṭilya, Vishnugupta) in the 4th century BC. It consists of 15 chapter, 380 Shlokas and 4968 Sutras. In all probability, this treatise is the first ever book written on Practice of Management. It is essentially on the art of governance and has an instructional tone. Chanakya (Great Indian Political Guru, Strategist and Writer, 350 BC-283 BC) was an Guru(Teacher), adviser and a prime minister to the first Maurya Emperor Chandragupta (340-293 BC), and architect of his rise to power. Chanakya was a professor at Taxila (or Takshashila) University and is widely believed to be founder of the first Indian empire. Chanakya can easily be reckoned as one of the wisest Gurus of political and economics sciences that has lived on our planet. 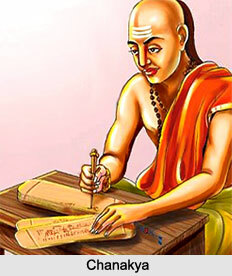 Chanakaya has written Arthashastra, as a guide for “those who govern”. Chanakya was interested in establishment and operation of the governance machinery through which the king(governing head) preserves the integrity and solidarity of the State and generates power. It is not surprising that several concepts described in ArthaShastra, vividly described by Chanakya in his work, are being acknowledged into present day management theories. For instance the present day management emphasis the importance of vision, mission and motivation, which was captured in Arthashastra. Chanakya advise his king to rule through Prabhu Shakti (vision/belief), Mantra Shakti (mission/rules and law) and Utsah Shakti (motivation/inspiration). - "Adaptability" = Making ecomomic model that will adapt to changes in the future. - Prosper : Continually adapt to changing environment and govern dynamically. Chanakya states that for efficient running of the State, elaborate systems need to be established. He emphasizes on the organizational aspects, human dimensions of an organization as well as the leadership requirement of an organization. On the organizational aspects, Chanakya evolves an elaborate hierarchy under the king. The king appoints Amatya, the Prime Minister. Amatya operates the day-to-day machinery of the State through a council of officials consisting of Mantris, the Ministers, Senapati, the warlord or the Defence Minister, Purohit, the Chief Justice and Yuvaraj, the Heir Apparent or identified successor to the throne. Chanakya weaves a design of a tall hierarchy for governance going down to the level of village through his concept of Mandalas. Gram Panchayats and Panchayati Raj set up that was adopted by the Government of India can be considered as a logical derivative of Chanakya’s attempt to bring administration to the lowest appropriate level in the machinery of State. It is indeed interesting to note that Chanakya, having woven an elaborate organization, moves to set up policies and procedures i.e. business processes. Arthashashtra has detailed policies for the society, individual industries, labor and employment, calamities and control of vices. At this stage, he shows the depth of his knowledge of the major element of effective and efficient implementation of business processes, namely, the human aspect of management. He observes that the State(Rajaya/Kingdom), as an organization, is a social organization with economic aim. Chanakya at this stage, reminds his Emperor that sound knowledge of complex human nature is essential in effective, efficient and honest running of the State machinery. He warns of two undesirable attitudes of human nature, Pramada, meaning mindlessness/intoxication/insanity due to excess and Alasya, meaning inactivity, to be watched for and avoided. This is where, according to Chanakya, the leadership counts. The essence of leadership, he stresses, lies in its acceptance by the subjects. He therefore, advises the Emperor never to forget the two pillars of the art of governance: Nyaya, the justice and Dharma, the ethics. He also decries autocratic behavior as a leader is visible and people follow the leader. Hence he advises the Emperor to introspect to identify his aatma doshas, i.e. self deficiencies, to improve or develop himself. He further advises his Emperor to study deficiencies of his cabinet members and take steps to improve upon them. He states that Mantris could be incompetent, Senapati could be over ambitious, Purohit may not consider the present day practices or traditions while enacting laws or justice, which might lead to injustice. As regards Yuvaraj, he advises specific training to prepare him for the eventual succession. 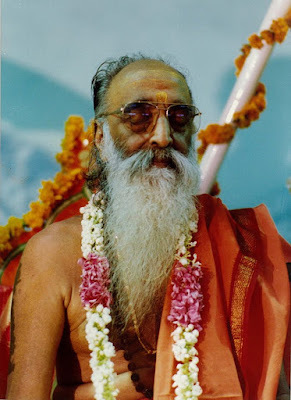 He states that the Yuvaraj(future king) should be trained in three specific areas: Arthashastra (economic administration), Nitishastra (foreign affairs) and Dandaniti (political science). Chanakya seems to have given a lot of thought to human resource development for the government machinery. He is specific about the qualities Mantris(ministers) must possess. He writes about these qualities as qualifying standards for appointment as a Mantri(minister). These qualities are: Drudhachitta (power of concentration), Shilavan (character), Pragna (thinking capability), Vangmi (communication skills) and Daksha (observation / vigilance). In addition, he highlights the competencies that a Mantri must possess. These competencies are the same as the competencies advocated by the management gurus of the present times, namely, Knowledge, Skills and Attitude. Chanakya’s knowledge about human behavior is really astounding. He advises his Emperor about six emotional devils which he should avoid and ensure that his cabinet members also avoid. He makes it amply clear that times six emotional devils do not allow appropriate decision making in any operation. The emotional devils identified by Chanakya are: Kama (lust), Krodha (anger), Lobha (greed), Mana (vanity), Mada (haughtiness) and Harsh (overjoy). Having looked at the key areas of an efficient and effective organization, Chanakya looks at external realities that the government machinery would face. He starts systematically studying what he calls ‘the essentials’ of an organized State. He identifies the essentials as the territory of the kingdom, the population of the kingdom, the organization through which the kingdom is being run and last but not the least, the unity within the kingdom. According to Chanakya, the essentials of the State should be taken care of through ‘constituents of the State’ identified by him. These constituents are: Emperor (King), Amatya (Prime Minister), Janapada (populated territory), Durga (fort), Kosha (treasury), Bala (force / army) and Mitra (ally). His choice of Mitra as a constituent of the State is interesting. He thinks of a network of allies to fortify a kingdom. Mitra is a king who would come to the support of Emperor, if Emperor’s kingdom is attacked by another king. It will also be the duty of the Emperor to extend all help if the Mitra is attacked by another king. In today’s world of globalization, the same concept is applied when corporates form alliances to fortify their territories from external dangers such as cheap imports and the entry of strong competitors. At this stage, Chanakya refers to diplomacy as an important element in Nitishastra (foreign affairs). His clarity of thought is evident from the identification off six attributes of diplomacy. The attributes he talks about are: Intelligence, Memory, Cleverness of Speech, Knowledge of Politics, Morals and Readiness to Provide resources. Though he is not shy of launching an attack as an external strategy, he also advises the use of diplomacy as a useful strategy to be explored showing his pragmatic approach to the external realities. He identifies the external threats as the superiority of strengths of other kingdoms as well as ambitions of other kingdoms. The advice Chanakya provides to handle a strong king who has evil designs as well as a weak king who has catapulted easily. To defeat designs of a strong king, Chanakya advise networking with other kings defeated or threatened by the strong king on one hand and develop nuisance value through ‘nibbling by the sides’. He also advocates the concept of Upeksha, the studied indifference, in the face of strength as a diplomatic move. To a weak king who easily catapults or surrenders, Chanakya advise his Emperor to give the king his dignity and not to rub his nose in the defeat. This way, he suggests, Emperor will have a useful friend who will never forget the treatment received and will remain ever so grateful. Finally, from the point of view of management of the kingdom, Chanakya’s advice to his Emperor is indeed introspective and valid to the corporate world of the 21st century. Emperor should run a diversified economy actively, efficiently, profitably and prudently. Diversified economy should consist of productive forests, water reservoirs, mines, productive activities, trade, markets, roads, ports, and storage. Efficient management means setting up of realistic targets and meeting targets without using over zealous methods. Wealth lies in economic activities. Proper direction and guidance from Emperor will ensure current prosperity and future gains. Inactivity of Emperor in economic sphere will bring the kingdom close to destruction. Emperor must bear in his mind that a king with depleted treasury is a weak king and the easiest target for a take over. Emperor should ensure enactment of prudent policies. Prudence should be based on Dharma(Righteousness/Ethical Conduct) and Nyaya(Justice) that will ensure equal opportunity for all to earn a decent living. Profitability should not only mean surplus over costs. It should also mean provision of investment for future growth. Availability of water is important. It is practical to acquire a small tract of land with flowing water than a large tract that is dry and would need substantial investment to generate water. An ideal Emperor is the one who has the highest qualities of leadership, intellect, energy and personal attributes. Emperor can reign only with the help of others. He should appoint not more than four advisers and sufficient number of Mantris to look after the governance of the State machinery. While limiting the span of control for the Emperor, Chanakya warns against centralization of power in the hands of the Emperor by stating “one wheel alone does not move a chariot”. Emperor should take proper care in appointing advisers. He should have clarity in terms of qualities an adviser should possess. Most important being practical experience, thinking prowess, sound judgement and ability to differ while keeping total devotion to the Emperor. Throughout Arthashstra, Chanakya makes some really thought-provoking observations. I list them below as Pearls of wisdom from Arthashastra. Small difference in ability can lead to enormous differences in results. Main aim throughout one’s career is to identify, acquire and develop these differences, which yield superior results. Knowledge is important. Knowledge is cumulative. Once it exists, it grows. Every new piece of knowledge reveals connections with other areas of knowledge. Each breakthrough in knowledge creates new opportunities that expand and multiply. Thinking is creative. You can create your world by the way you think. Situation and people have the meaning you give them. When you change your thinking, you change your life. To take control of your life, you must take control of your mind. By failing to plan, you are planning to fail. Every effective performance is based on thorough preparation. You should be firm about your goal, but flexible about the process of reaching the goal. A great leader shows ability to make decision and act boldly in the face of setbacks and adversity. Power goes to the person who uses it most effectively. Leaders are sensitive to and are aware of the needs, feelings and motivation of those they lead. Foundation of leadership consists of honesty, truthfulness and straight dealing. Leaders develop ability to predict and anticipate the future. Self-discipline is the most important personal quality of a leader. Most important basis of success in any venture is pragmatism. Do not ask where the new idea came from or who thought of it first. Ask only one question: does it work? There are certain basic universal laws. They do not change. Ignorance of these laws is no excuse. Violation of these laws forces one to pay full penalty through underachievement, frustration and failure. Success needs action. Action needs initiative. For sustaining success, initiative to collect feedback is important. Feedback allows you to take corrective action, which sustains success. For every effect, there is a specific cause. Success is not an accident. Success is not based on chance. Success is not a matter of luck. Success is the result of well thought out action. Punishment when awarded with due consideration, makes the people devoted to righteousness and to works productive of wealth and enjoyment. We should always speak what would please the man of whom we expect a favour,like the hunter who sings sweetly when he desires to shoot a deer. We should not feel pride in our charity, austerity,valor,scriptural knowledge, modesty and morality for the world is full of the rarest gems. When there are many enemies, treaty should be entered into with one. One's security should be guarded from the enemy. The weak should seek refuge in the strong. Refuge in the weak results in sorrow. A ruler should be approached like fire. When two persons quarrel, one should maintain an attitude of duplicity. The lust ridden cannot perform his task. A little effort accomplishes the task. We should not fret for what is past, nor should we be anxious about the future, men of discerment deal only with the present moment. Never share your secrets with anybody. It will destroy it. As soon as the fear approaches near, attach and destroy it. The state is the root of wealth. Humility is the root of sense control. Worship of elders is the root of humility. Wisdom results from the worship of elders. The prosperous one becomes the victorious one. Economic prosperity creates prosperity for the people. If the people are prosperous even a leaderless state can be governed. To be without a master is better than having an arrogant master. After equipping oneself fully, one should seek an ally. Defection to the enemy takes place due to negligence. Ministerial advice should be kept secret from all quarters.Getting what has not been got, guarding it, developing it and then distributing it-these four constitute state policy. Friendship and enmity results from some cause. Power is the cause of alliances. One should not fight with a superior or equal. A task in which an expedient is used is not difficult to achieve. One of the precepts of life is that unlike types do not unite. Unheated metal cannot combine with heated metal. Similarly, a person who is fired with ambition and the desire to achieve would not be able to function properly with one who is passive and lacks the drive to do much in life. It should always be remembered that when establishing a force, a team or an army, the leaders would always look for people with similar temperaments or backgrounds. This would ensure that there would be least disparity, conflict and everyone be able to exist in harmony with one another. While there is no doubt about the fact that each individuals has his own unique qualities, there is also, the fact that in a team, if everyone is starkly different from each other, the result would be chaos and discord, Hence, to ensure balance and co-operation, similar attributes should be tapped to form successful and high achieving teams, thereby strengthening the belief that unheated metal does not coalesce with metal. 2. An unbaked vessel on colliding with another unbaked vessel gets destroyed. When two equally unprepared and unsuitable opponents clash with each other, both would be destroyed in the ensuing battle. It is essential that out of the two parties, at least one should be prepared well and able to take on the other. The saying that an unbaked vessel on colliding with another unbaked vessel gets destroyed holds true in every situation. Battles have been fought since time immemorial; however, if these battles weren't between a superior and an unequal, they wouldn't have been successful. Even when competing against each other, if the competitors are not prepared for the competition, it would make little sense for them to participate. One should always be prepared properly before entering into any kind of rivalry or fight with another. 3. One should not wear provocative clothes. If one does not want to be the recipient of unwanted and undesirable attention, one should take care to dress in a sober and conservative manner. "Clothes makes a man." This saying has great truth in it. A man is known by the kind of clothes he wears and therefore, should take care in dressing with sensibility and modesty. Fashion may be followed but not at the cost of offending the sensibilities of other members of society. By wearing provocative clothes, one attracts unnecessary attention and incurs problems of various sorts. Both men and women must practice prudence while selecting their attire and conveying an impression of tradition and purity. Clothes carry an immense significance in man's life and therefore, should be worn intelligently. It is, indeed, possible for one to be stylish yet sensible. One can wear any kind of clothes as long as they are not offensive for others. Since man is an integral unit of society, he does need to pay heed to what would be appreciated by his society. He should place his tastes, preferences and comfort first, yet he should not ignore the norms and modes of his society as well. All in all, he should be able to make a distinction and use his attire to impress and not to offend. 4. Advancement and decay are dependent on oneself. Whether one progresses or declines in life is largely dependent upon one's own self. No one is responsible for your success or failure and if people blame fate, destiny or other people, they are merely being escapists. One should be graceful enough to accept one's success and failure alike as one's own doing. Life presents us with a variety of opportunities. It is in our hands to make use of these chances and take the most out of them. 5. One addicted to gambling does not accomplish anything. The habit of gambling has been known as the worst habit since ancient times. Rulers have lost their kingdoms due to gambling. It is the one habit which would most certainly take its addict to ruin and despair. 6. One addicted to vices does not accomplish task. An individual who is addicted to bad habits-smoking, drinking, drugs, gambling, would not be able to achieve his goals and targets. He would waste away his time, energy and resources in satiating these habits and wouldn't be in a position to move ahead in life. He would leave work undone and not take on anything new and challenging. It is essential that one stay away from all vices and lead a life of hard work and virtue so as to achieve all of one's goals and reach a worthy position. 7. One should not imitate the ways of God. Man is man and can never be God. Therefore, he should not try and copy the ways of God. Man should not try to become the maker or destroyer of people's lives and destinies. He should always keep utmost faith in the power of the Almighty and never should he try to don the mantle of being all-powerful omnipotent. There is a supreme power above us all and this is the power that governs the earth, the universe and all the beings, therein. 8. The strong one tries to get what has not been attained. A person who is not scared of failure, hardship and suffering would have the physical and mental strength to endure all circumstances and achieve one's goal, no matter how difficult it may seem. 9. One who is affectionate in difficulties is the friend. In the acquisition of allies one develops strength. One who would stand by us during our times of distress and difficulty. One who would see us through the good and the bad times is surely one who is a true friend and not a fair weather one. Such a friend is to be cherished and honored. He deserved our love and loyalty. 10. One wheel does not move. Man needs other beings in order to survive, to work, to prosper. He cannot function in isolation. In every situation that man faces he needs the help and guidance from others. We need them so that we can continue to exist as normal, successful, social human beings. 11. With wisdom one can prosper. The secret of prosperity lies not in how much of money does a person have but in how wise and intelligent is he. What eventually determines the fortune of a person is how much sense he shows in making his fortune work for him. One should, therefore, strive to acquire as much knowledge and education as possible from diverse spheres and by interacting with people from all walks of life, and apply all that one learns to one's own life and experiences and it would soon, be seen that it become easy to achieve targets and goals. Needless to say that when this happens, prosperity automatically would be your companion and fortune would smile upon you always. 12. Victory over senses is the root of states. How would one attain an ideal state of mind? The answer is simply by attaining control over one's senses. The five main senses of man rule and define his existence on this Earth and in this World. How and what he sees, hears, tastes, feels and touches define his state of mind. If he sees pleasing and happy sights, his state of mind would be one of peace and contentment. If he sees the opposite, he would feel the opposite.